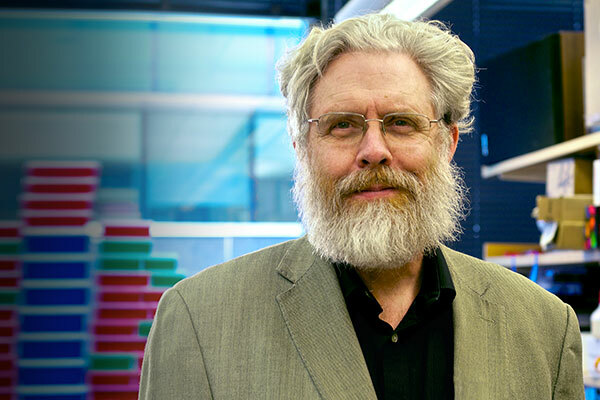 An Interview with George Church, Ph.D.
Dr. Wilson: How do you think genome editing, in which you played an important role, will be most impactful in the near future? Dr. Church: I saw genome editing up close and personal since the early ’80s when we were interested in homologous recombination. I joined Gail Martin’s lab to apply homologous recombination to mouse embryonic stem cells. But Mario Capecchi and Oliver Smithies got there first. What we do today with CRISPR is in some ways less impressive because those groups focused on precise editing, whereas much of the current CRISPR craze is sloppy genome vandalism. In 1999–2001, my lab worked on custom zinc fingers. I also advised a startup called Gendaq, cofounded by Yen Choo and Aaron Klug, which merged with Sangamo. Bernard Dujon, who was one of my mentors as a graduate student, developed meganuclease technology with Andre´ Choulika. Dr. Wilson: You have also done work on editing porcine models to address the issue of limited organ transplantation. What is the status of this work and how close are we to addressing this issue? Dr. Church: The idea of transplanting from animals to humans becomes more attractive as we see more acceptances of allogeneic transplants from humans to humans without regard to initial matching. Now, for the first time we can alter the donor genome, whether it is a human or an animal, to prevent tissue rejection, especially in a properly immunesuppressed patient. Twenty years ago, the pioneers of xenotransplantation had hoped that one or two mutations would be sufficient to make pig organs compatible with humans, but now dozens of changes are feasible (and clearly needed). In 2015, we simultaneously edited 62 locations in the pig genome over about 14 days. That was surprising to us and remains kind of a record in mammalian editing. So, I think we are getting close. MGH (Massachusetts General Hospital) and eGenesis are collaborating on preclinical trials in nonhuman primates with some of the early strains. We don’t have the perfect strain yet, but we have almost all of the components in various pig strains and plan to combine them soon. Human trials might be a couple of years away, but they’re coming. Dr. Wilson: You mentioned the role of NGS in prenatal diagnosis and genetic counseling. Where do you see the next round of technological advances with the greatest potential for impact? Dr. Church: Well, I think it’s still important to emphasize the role of prenatal and, ideally, premarital genetic counseling in eliminating genetic diseases. The Jewish organization, Dor Yeshorim, and other genetic counselors have more or less eliminated diseases like Tay-Sachs, preventatively. So, we need to keep this in mind as we develop these initially expensive gene therapies. I think that other technology advances could focus on developing countries where equitable distribution of orphan drugs is a challenge, even with government subsidies. One such opportunity is in gene drives, where the therapeutic is spread through an animal vector population, like mosquitos for malaria and white-footed mice for Lyme disease. Such a strategy could benefit both developing and developed countries. For industrialized nations, the next frontier in gene therapy is longevity and age reversal. We already have vast amounts of information on what causes longevity and aging reversal in model organisms, and hence can now turn this knowledge into gene therapies that simultaneously tackle multiple molecular systems to reverse the aging process. Dr. Wilson: I want to explore the limits of what is possible with synthetic biology as far as resurrecting extinct species. I know you have been involved in similar ideas so could you tell us what is possible and how far we are from a real ‘‘Jurassic Park’’? Dr. Church: I think a good way to frame this topic is around the possible impacts of synthetic biology on agriculture and ecosystems. The excitement surrounding ancient DNA is not so much about bringing back dinosaurs, but more about bringing back diversity from extinct species, because many of the organisms we need for our own human needs are experiencing bottlenecks or are ill adapted. One of the ecosystems that I am most keen on is the tundra in Canada, Russia, and Alaska, where there are 1,400 gigatons of carbon at risk (possibly the result of bad decisions humans made tens of thousands of years ago). I think we can use new molecular tools to improve those natural environments. We also see an opportunity in using these tools to lessen the impact of unnatural environments, like the gigantic amounts of agricultural land. We have resurrected a number of extinct genes and we hope to apply them as part of the solution toward improving diversity and saving endangered species, like the Asian elephant. George Church, Ph.D., is Robert Winthrop Professor of Genetics at Harvard Medical School and Professor of Health Sciences and Technology Harvard and MIT. James M. Wilson, M.D., Ph.D., is Rose H. Weiss Orphan Disease Center Director’s Professor, Department of Medicine, Perelman School of Medicine, University of Pennsylvania, and Editor, Human Gene Therapy Clinical Development, published by Mary Ann Liebert, Inc.